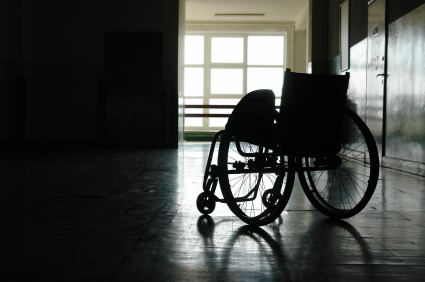 Injured worker thrown from wheelchair during treatment: Additional comp benefits? When an injured worker visits a medical facility for treatment, they’re supposed to get better. That wasn’t the case here, and now the injured worker wants more workers’ comp benefits. Jennifer Hodge suffered a compensable injury at work in 2008 to her left knee, cervical spine and left shoulder. Three-and-a-half years later, Hodge was injured at a medical facility following a steroid epidural injection to the cervical spine. Hodge wasn’t fully awake when medical staff placed her in a wheelchair to take her to a recovery room. The wheelchair didn’t have footrests, and Hodge’s feet dragged on the floor. As she was pushed down a hall, her knees went underneath the wheelchair causing it to stop suddenly, throwing her forward. A doctor said Hodge suffered a severe twisting of both her left and right knees from being thrown from the wheelchair. Hodge sought additional medical treatment for the new injuries. Her employer (the City of Tulsa, OK) denied the additional claim. A trial court found Hodge suffered a change of condition for the worse to her left knee when she was injured at the medical facility. The Oklahoma Court of Civic Appeals reversed the decision, finding this was a new injury, not a compensable change of condition for the worse. “The fact that Claimant was at the medical facility to receive treatment for the adjudicated spinal injury does not alter the fact that a wheelchair accident was not a legitimate consequence of the work-related 3 1/2 years earlier,” the court wrote. Hodge appealed. The Oklahoma Supreme Court had the final say in this case. The state’s highest court said the evidence supported the original finding that Hodge suffered a change in physical condition for the worse to her left knee as a consequence of a fall during an injection for her neck during continuing medical maintenance for her 2008 workplace injury. Therefore she should receive additional workers’ comp benefits. This is an important issue that is often misunderstood. Additional injuries that flow from the original injury are routinely compensable under the workers’ compensation laws of many states. It’s not unusual for patients to suffer additional injury during therapy or care for the initial injury. Subsequent injuries can also naturally flow from the original injury under other circumstances. I recently had a case where my client suffered a knee injury and was provided crutches. One of the crutches broke, causing a fall which tore the client’s shoulder. Clearly, the shoulder injury was also compensable. Although these events are legally compensable, even some judges do not fully understand the law. I had a similar case in Alabama a number of years ago. When I appeared for trial, the trial judge openly questioned our claim for compensability. He did not understand this area of the law. Fortunately, I had the issue briefed and was able to provide the legal support immediately.